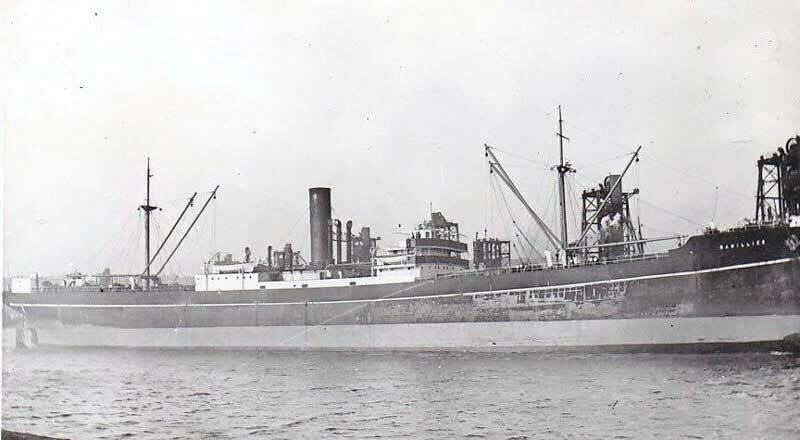 I wonder if any of your readers can help me locate info on SS RAMILLIES sunk in the Atlantic the 8th May 1941 by U-97. any photos and a list of the crew on that voyage would be a great help as I'm reseaching the history of my uncle Edward Spence who was a Royal Navy DEMS gunner on the ship. This is all I can find at the moment, and incidentally the name is spelt Ramilles. and three gunners were lost. If I turn up anything further I will contact you again. Here is your Uncle's listing from the Commonwealth War Graves Commission. As you can see he is listed on the Plymouth Naval Memorial on Panel 48, Column 2. Many thanks for putting me in touch with Bryan Spence. He is going to post me the information on the Ramillies. It was kind of you to do this for me and I am very grateful to you. My husband and myself think your site is very good and of interest to so many people around the world. This is very worthwhile work and hopefully gives you satisfaction, solving some of the many mysteries there are surrounding what went on in wartime. If we find out anything more, we will be in touch. Meanwhile, many thanks. my name is Raymond Proctor husband of Judith Proctor my wife has being in touch with you about SS RamiIlles 1941 sinking by U97, her grandfather William Turner was lost on that fateful day, there where other people wanting more info about the ship I came across this picture on the web hopefully it will come on to your web page this is for J Seldon, Michael Gentil, Helen Smith, Liest Broucher, and Brian Spence. Thanks Mac for a great web site. At our URL: "Edward Spence who was a Royal Navy DEMS gunner on SS Ramilles"
Please add this picture of SS Ramilles and this Email.